What if Commander Feral found out about the SWAT Kats' identities? What if Commander Feral, the one who hated the SWAT Kats yet begrudgingly has a growing respect for them, has finally put two and two together and figured out our heroes' true identities before Callie and anyone else did (including the Metallikats as they somehow lost the secret when they got neutralized)? So what will he do with this critical knowledge? Will he go by the book and arrest them like the vigilantes they are? Or will he take time to reflect their past deeds and "strategically" choose to keep it to himself? Re: What if Commander Feral found out about the SWAT Kats' identities? It depends largely upon the situation, but I think by and large he'd feel duty-bound to arrest them. He would probably think long and hard about what he ought to do, though, and about what is best for Megakat City. From how I remember,Chance and Razor were former officers of the Enforcers under Commander Feral's command,so this'll be an interesting one. 1. He could possibly push forward to send the two into prison for their vigilante acts and as well as using former Enforcer property of their Swat Kat jet and make it theirs. 2. The entire precinct attempts to convince him that the Swat Kats are not the enemies,but rather allies who have the same motive to protect and save the citizens of the city. 3. Felina will try and figure out the Swat Kat's identities first before her uncle does,so she could understand why Chance and Razor do what they do,and she could convince Commander Feral himself that they're not much of trouble making that he thinks they are. -In 'Destructive Nature', there was no way Feral and his Enforcers could've saved the day without damaging the building and Mayor Manx told Feral not to. Feral had to listen to Manx since Manx is his boss and he could get fired for tat. -In 'The Past Master Rings Twice', Manx forbid Feral from firing at the clock tower in City Hall when that was needed to stop Past Master. If the SWAT Kats had done it, Feral wouldn't get into any trouble. 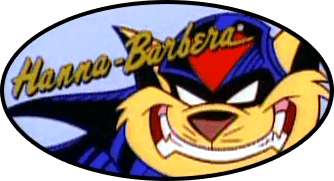 -In 'When Strikes Mutilor'-The SWAT Kats were able to get the planet's water supply back. Surely Feral could have some respect for the SWAT Kats since they saved the world. -In 'Caverns of Horror', Feral was worried about his nice. But the SWAT Kats were able to come out alive with Ann and Felina. -In 'Unlikely Alloys', Feral almost thanked the SWAT Kats until T-Bone was acting rude to him. I think that Feral would honestly becomes allies with the SWAT Kats just like Captain Lance and the Green Arrow if he ever found out. Like Feral would understand why the SWAT Kats do what they do (since he did after all create them) and that would be acceptable. They do want to keep the city safe after all. Or maybe Feral would just pretend not to know. Well said, NightSlayer2! I agree with you and Kooshmeister have said! I believe that if Feral ever found out about the SWAT Kats' true identities, he will contemplating long and hard on what to do with such huge revelation. That moment would be perfect for a clip show episode with Feral looking back in the memory lane, showing SWAT Kats' biggest deeds done for MegaKat City. I'm in agreement with a lot of others, in that he would probably leave them be, to continue being the Swat kats. Or some other arrangements made to keep them in the air, inviting them back onto the force, or something. If he became pro-SWAT Kat, he'd likely invite them back to the force, probably to head some kind of elite super-squadron and train up and coming Enforcer cadets to be like them; or insist they share their tech with him and his men. Not to plug my own work, but I worked out something very similar in the finale of my story, The End of the SWAT Kats!, and, ironically, I made it Callie's idea. The SWAT Kats and Feral's reactions were about what you'd expect. There's a chance Feral might want to do things by the book and arrest those vigilantes. He's kind of like Samandra Watson from Arrow where they both dislike anyone who wears masks. Perhaps Feral would throw them away, give them immunity when something comes up, and Callie would want them back in the force. Krillos wrote: That moment would be perfect for a clip show episode with Feral looking back in the memory lane, showing SWAT Kats' biggest deeds done for MegaKat City. Hey, it would have been better than the clip show we actually got.